The La Pointe Center for the Arts is gearing up for our Annual Wine Tasting Gala and Fundraiser taking place this Sunday, May 28 at the Pub Restaurant and Wine Bar. $30 tickets include round-trip passenger ferry fee for those on the mainland. Come and bid on hundreds of intriguing and one-of-a-kind silent auction items while sipping wine on the shores of the lake. Doors open at 2 PM. 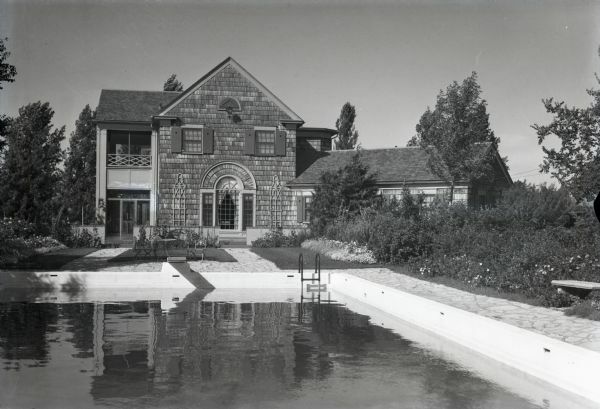 This year our live auction includes a Murder Mystery Dinner for eight, catered by Seiche and to take place at Wood’s Manor, a spectacular 12-bedroom island home built in 1924. Imagine Wood’s Manor is the famous Powar Oriental Gardens Theater in Hollywood. It’s 1936 and guests are gathered to enjoy the glitter and glare of the Powar Film Studio’s newest release, Powar and Greede. A dinner for the cast is being hosted by W. Anton Powar in a private dining room adjacent to the party. Excitement turns to horror when a murder is discovered, and guests must decide who amongst them have committed the crime. Pick a beautiful autumn evening between September 7 and October 10, 2017 and bring your friends for a once-in-a-lifetime chance to enjoy Wood’s Manor, now the private residence Jean Mescher and Paul Guerin, who are generously opening their home to help benefit the La Pointe Center for the Arts. Wine Tasting tickets are available at the Madeline Island Ferry Office, the Madeline Island Chamber of Commerce, Stone’s Throw in Bayfield. $5 off at the door if you bring a glass from a prior wine tasting.